Mineral rich sea salts combine with our incredible emulsification of plant oils to give you an exfoliating, highly moisturizing, clean-rinsing, super effective foot treatment. Scented with invigorating peppermint, rosemary and lemon. 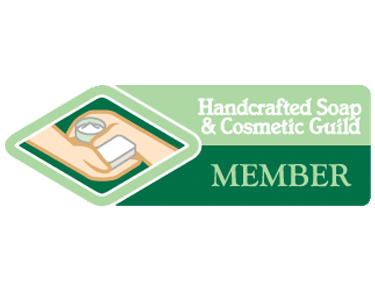 Our Shea Butter Foot Scrub comes in an 8 oz. jar. 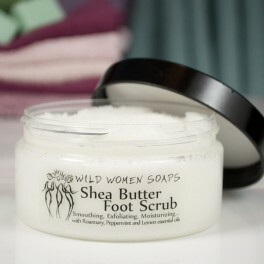 Step 2 in our Wild Women Soaps Foot Spa, use daily before bedtime for best results. Try our other foot spa luxuries! Peppermint Pumice Soap & Shea Butter Foot Butter. Ingredients: fine sea salt, jojoba oil, coconut oil, stearic acid, shea butter, cocoa butter, polysorbate 20, fragrance, germall plus.